Malaria has long been one of the major killer diseases of our age. World Health Organization data show that as much as half of the world’s population is at risk. But roughly 90% of malaria cases and 92% of malaria deaths take place in just one region: Sub-Saharan Africa. Europe and North America live completely free of malaria. But children in Sub-Saharan Africa often suffer through multiple bouts of the disease before they reach the age of five. And children below the age of five account for 70% of malaria-related deaths. Pregnant women who contract the disease can suffer serious health complications. The good news is that the fight against malaria has lately gained momentum, with infections falling steadily in most places and malaria-related deaths down by 29% since 2010. Progress can be attributed partly to innovations, including new rapid diagnostic tests that work in just minutes, more accessible and affordable anti-malarial drugs, and rising use of long-lasting insecticide-treated nets (LLINs). Greater community engagement has also helped, with popular musicians, media organizations, and religious leaders advocating for stronger action against malaria. Senegal is one of the countries leading the decline in cases. Nearly 86% of the population now uses LLINs, and most people have access to rapid diagnostic tests, as well as artemisinin-based combination therapy, which is provided for free by the government and donors. Community health workers, under the direction of an effective national program led by the country’s health minister, Awa Marie Coll-Seck, have played a pivotal role in enabling progress. The results are impressive . In 2001, nearly 36% of outpatient visits in Senegal were malaria-related. According to the National Malaria Control Program (NMCP), that figure stood at just 3.3% last year. Over the same period, malaria-related deaths fell from nearly 30% to just above 2%. The US-based Centers for Disease Control reports that, from 2008 to 2010, the number of children under the age of five infected with malaria dropped by 50%. Senegal is hoping to achieve pre-elimination (defined by the NMCP as fewer than five cases per 1,000 people annually) by 2020, with the WHO certifying malaria as fully eliminated from the country by 2030. But getting there will not be easy. Senegal will need more resources, a stronger government commitment, increased support from development partners, and greater community involvement. Against this background, the Lives and Livelihoods Fund (LLF) – a grant facility launched by the Islamic Development Bank (IsDB) and the Bill & Melinda Gates Foundation – has joined Senegal’s fight against malaria. The LLF combines $500 million from donors – including Saudi Arabia’s King Salman Humanitarian Aid and Relief Center, the Qatar Fund for Development, the Abu Dhabi Fund for Development, and the Islamic Solidarity Fund for Development (ISFD) – with $2 billion of IsDB financing for health, agriculture, and rural infrastructure projects. Administered by the IsDB, the LLF is the biggest initiative of its kind based in the Middle East, aiming to increase the resources available for development across the 30 least-developed and lower-middle-income countries in the Muslim world. One of the LLF’s first projects will be a $32 million malaria pre-elimination project in Senegal. The LLF’s governance mechanism, the Impact Committee (of which I am an alternate member, representing ISFD), approved the year-one pipeline last September. The Senegalese government officially agreed to the project – a scaled-up version of the already-successful NMCP – in February. As a result, 25 districts in five regions of Senegal will be helped in achieving malaria pre-elimination, directly or indirectly benefiting nearly four million people (about 25% of Senegal’s total population). I recently traveled to Senegal to assess the project’s progress. The other Impact Committee members and I met with Coll-Seck and other national leaders, who affirmed the project’s importance. The most moving part of the trip was our visit to the Deggo health post, in the suburbs of Dakar, where health workers and community volunteers explained to us their ongoing efforts to fight the disease. We left that meeting confident that the project possesses both the right skills and the needed commitment to succeed. Investments in combating malaria, like those by the LLF, are among the most cost-effective health interventions, yielding broad socioeconomic benefits. A healthy child is more likely to attend school, resulting in improved learning outcomes, just as a healthy adult can earn a steady income, resulting in reduced poverty and hunger. Healthy workers are more productive, boosting economic output. Malaria-free communities can divert their health budgets to fight other scourges, such as non-communicable or neglected tropical diseases. 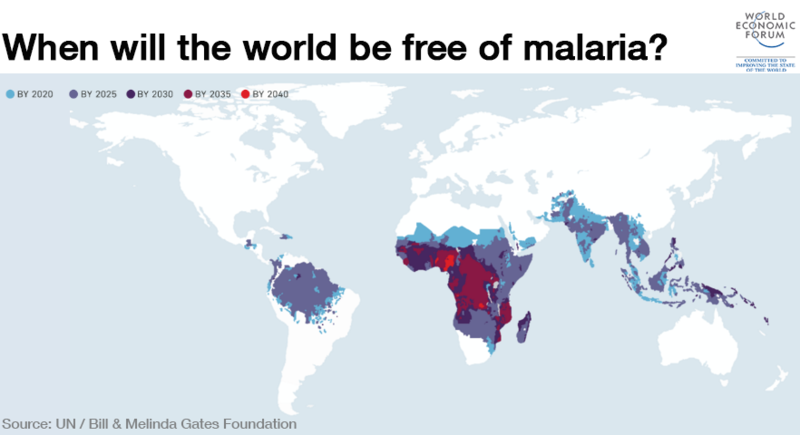 Progress in the fight against malaria will mean progress toward several Sustainable Development Goals (the United Nations targets to which world leaders agreed in 2015), from eliminating poverty to ending preventable deaths in children under age five. If we are to win the fight, more financing from funds like the LLF, particularly in Sub-Saharan Africa, is the way to do it.